They have the best MOFs working for them (Chef Olivier Brulard, in the case of Les Prés d’Eugénie – Chef Brulard spent some time at La Réserve de Beaulieu where he earned 2 michelin stars, after years alongside real culinary illuminaries and legendary Chefs such as Alain Chapel, Jacques Maximin, Gaston Lenotre) and it shows in the very high level of classic French cooking technique on display. Service: 8 /10 Well trained young staff, unstuffy, professional as you would expect at a restaurant of this reputation. Overall food rating: 9/10 All in all, this was some excellent cooking by existing 3 star classic French Michelin star standards. Of course, Les Prés d’Eugénie is capable of an overall food rating of 10/10. There is NO doubt about that. But I have got to assess this specific meal, during which the Le Zéphyr de truffe ‘‘Surprise Exquise’’ was THE big “test” they had to pass as it requires lots of technique, precision, know-how, a great palate. 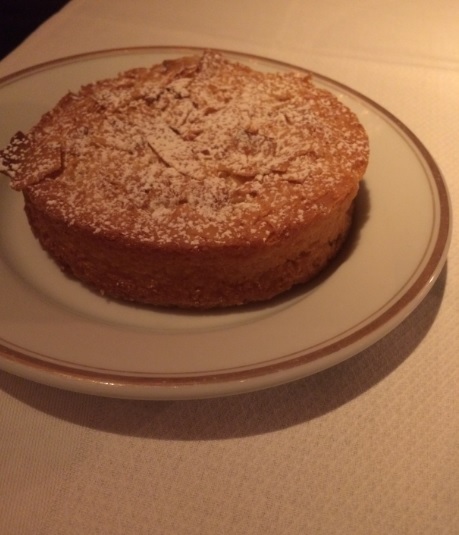 Regardless, Les Prés d’Eugénie did pass plenty of other BIG tests, as evidenced by the superlative pommes soufflées/gâteau Mollet du Marquis de Béchamel/amuse-bouches/pastries. Overall dining experience : See the section “My thoughts, days later” at the bottom of the current post. Restaurant Les Prés d’Eugénie, located in a countryside’s spa resort in the Landes, has 3 Michelin stars since the late 70s, one of the longest-running Michelin-starred restaurants in the world. 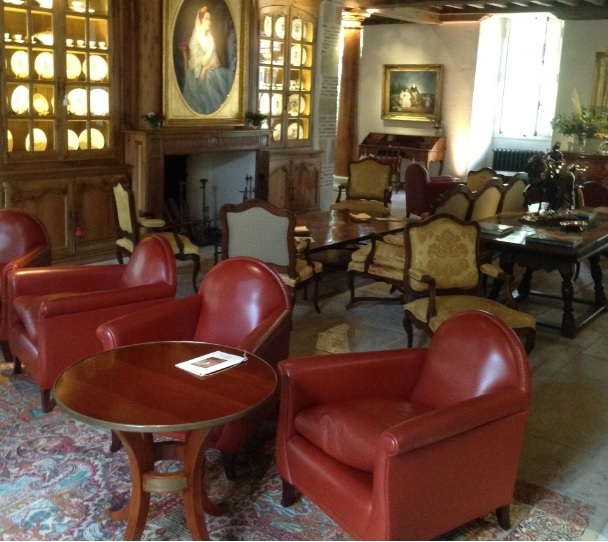 It is the sole 3 star Michelin restaurant in southwestern France, a historical gourmet destination where many great Chefs of France have honed their skills (Gerald Passedat, Alain Ducasse, Michel Troisgros, to name a few). Outside of France, Chef Quique Da Costa of world famed 3 star Michelin Quique Da Costa in Denia (Spain) counts Les Prés d’Eugénie’s Mastermind Michel Guérard among the Chefs he drew his inspiration from (as he stated in this interview), and Chef Massimiliano Alajmo, the youngest Chef to have been awarded three Michelin stars, of 3 star Michelin Le Calandre in Sarmeola di Rubano, Padua, Italy (which I did visit, my review here) worked at Les Prés d’Eugénie at some point in his career. Michel Guérard, now 84 years old, is one of the iconic Chefs of France, for his many achievements such as promoting Nouvelle cuisine in the 70s, with culinary heavyweights Roger Verge/Paul Bocuse/Alain Chapel/ Pierre Troisgros, which signified a break from Escoffier‘s classicism (the heavy sauces, etc), then, later on, his cuisine minceur. The ‘Nouvelle cuisine’ (a lighter way of cooking, for i.e, refraining from using heavy sauces/marinades, reducing cooking time to preserve the natural flavors of the ingredients, etc), that we are talking about is, of course, not ‘nouvelle’ (new) anymore, but it is THE movement that led to the type of classic French cuisine that we know today. Way before the concept of ‘Nouvelle Cuisine’ became trendy in the 1970s, one Chef began his own revolution of French cooking: Chef Jean Delaveyne. 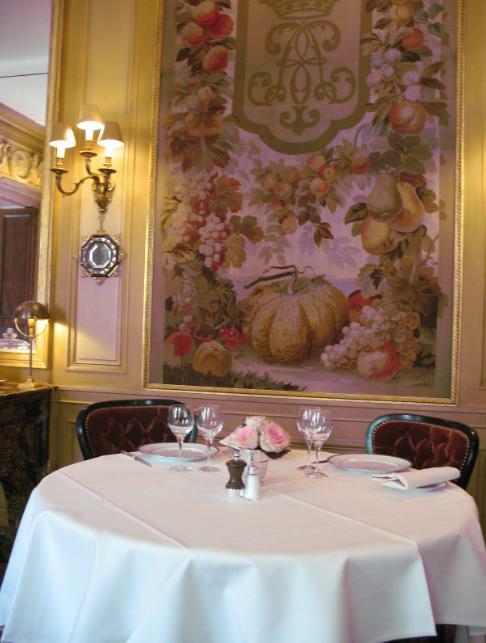 Chef Delaveyne started to cook a lighter version of French food as early as in the late 50s. What Chef Delaveyne did not have, it is the sense of marketing that Chef Michel Guérard was gifted with. Chef Delaveyne’s revolutionary approach to cooking did inspire Michel Guérard, who, in his turn, did help popularizing the concept of ‘Nouvelle cuisine’. Chef Guérard had another personal motivation in Nouvelle cuisine: according to him, Pastry Chefs were underestimated in those days, therefore he wanted to prove to the world of cooking that as a Pastry Chef, he could play an important role in the evolution of cooking. On the premises, they have a very pretty old barn converted into a bistrot, La Ferme aux Grives, that I also tried (reviewed here). 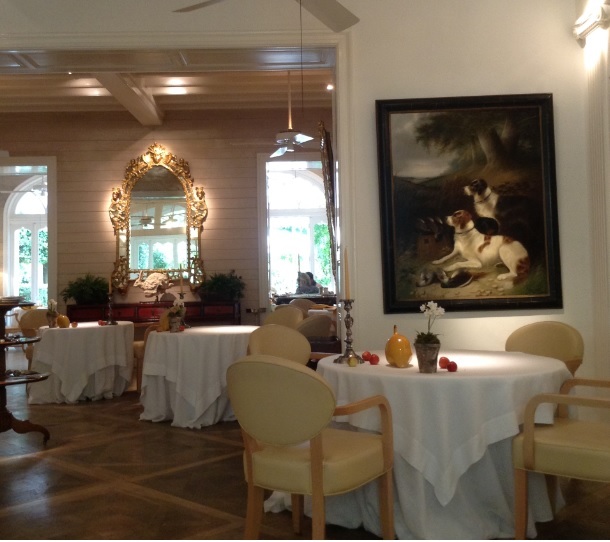 Chef Guérard’s mini-empire of restaurants includes La Bastide and Mère Poule & Cie.
On the day of my visit, there were several tasting menus, the A la carte menu, as well as some “special 40 years of Michelin stars” food items. -a delicate pastry cone filled with a citrus flower mousse. Shrimp “beignet” featured shrimp of top quality, not one single sign of oil to be found, the batter delicately light, the fresh maritime flavour of the shrimp fragrant, the beignet was served with a superlative verbena sauce. 8/10 for the shrimp beignet, 10/10 for that verbena sauce which brought incredible joy in mouth. 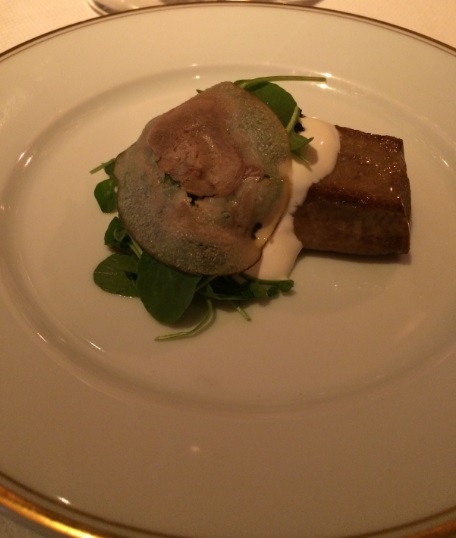 The amuse-bouches did really … amuse! 3 small breads are offered: olive, lemon and brioche. All, superb. The olives bread being the most popular during my visit. How do I know? Well, I asked. Ferme Ponclet butter from the Finistere deserves praises, too. Perhaps one of the very best butters of this globe, boldly flavored but balanced, with a fresh creamy finish that lingers gloriously on the palate. 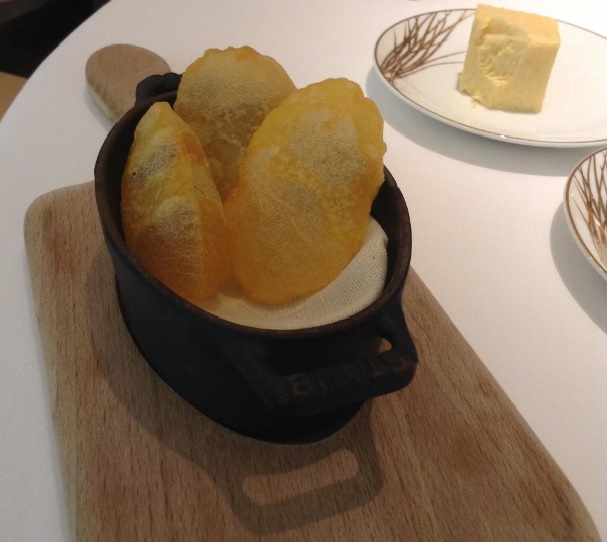 With the filet de boeuf, they served some pommes soufflées cooked to order, executed in a way that exemplary pommes soufflées do look, feel and taste like (spectacularly light, with an exquisite crisp and superlative fresh potato flavour. Bring back the poetic description, Chef! Roll the drums! I love when French classics are mastered this well. 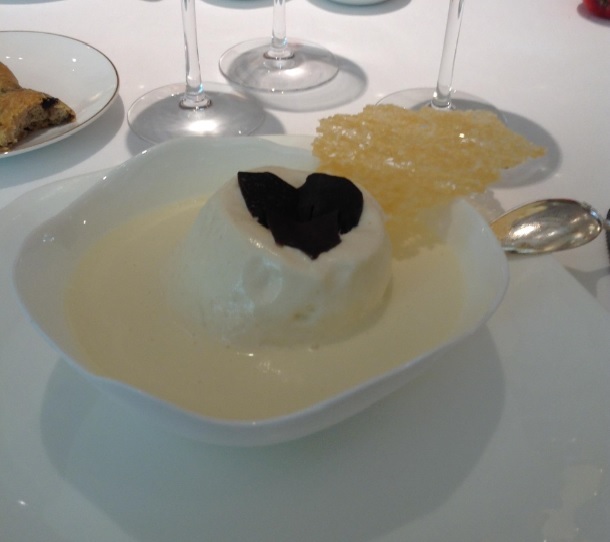 10/10), as well as a very good purée of pommes de terres agria/truffles (8/10). Canelés surprises à l’armagnac/ tartelettes aux fraises (mini strawberry tarts) /madeleines, all freshly baked, as expected from a restaurant of this standing. I have heard about the superb work of the pastry team at Les Prés d’Eugénie, and I can tell you that it lived up to the hype, with exceptional sourcing and skills. A benchmark tartelette aux fraises (10/10), an equally perfected mini madeleine 10/10). The canelés (rum was replaced by armagnac) were also great (8/10). 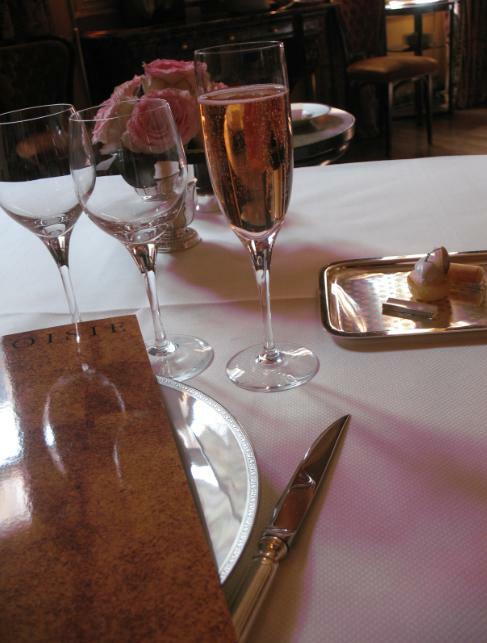 Pros: One great Classic French 3 star Michelin. 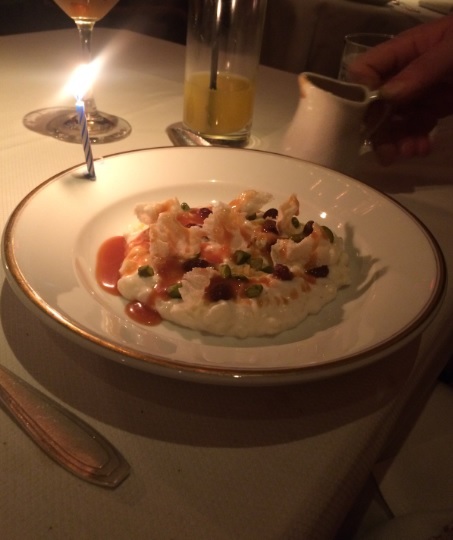 Bottom line: Chef Guerard, 84 years old, is, naturally, not cooking anymore. But what I like, in France, it is how serious those legends (Guerard, Bocuse) are about their legacy. They have the best MOFs working for them (Chef Olivier Brulard, in the case of Les Prés d’Eugénie – Chef Brulard spent some time at La Réserve de Beaulieu where he earned 2 michelin stars, after years alongside real culinary illuminaries and legendary Chefs such as Alain Chapel, Jacques Maximin, Gaston Lenotre) and it shows in the very high level of classic French cooking technique on display. My thoughts, days later: A high level dining experience, where you are interacting with friendly people. The ambience is relaxing. Food is great. Not too far, the cattle of blonde d’Aquitaine is grazing on emerald green grass. Stay in this village, Eugenie les Bains, for a day, walk in the countryside, rediscover the civilized manner of saying “hi” with a genuine smile to people you do not know (an aggression in most big cities,lol), smell corn (there are vast fields of corn to feed the cattle of Blonde d’Aquitaine) the way it used to smell and feel before the big industries have decided that chemical elements are necessary for their growth. And If you are a foodie, there are couple of eateries in the village. They have small hotels of far superior quality than most of the so-called budget hotels of our big cities, and I did spot a farm in the village, with some serious foie gras. A destination, indeed. The cooking at Le Coucou (Addr: 138 Lafayette St, New York; Phone +1 212-271-4252) has been making headlines around New York since the opening of the restaurant in June 2016, with rave reviews from New York’s major sources of information on their local restaurants: Time Out New York, New York Times, Zagat, Forbes, The Infatuation, Grubstreet, Village Voice and the Wall Street Journal. The Chef , Daniel Rose from Chicago, was an apprentice at Bruneau, when the restaurant was bestowed with 3 Michelin stars (Bruneau has a sole Michelin star nowadays) and trained under the supervision of 3 star Michelin Chef Yannick Alleno (Yannick now owns a duo of 3 star Michelin restaurants in France, Alléno Paris au Pavillon Ledoyen as well as Le 1947 in Courchevel) . Daniel, who also owns successful restaurants Spring and Chez la vieille in Paris, is offering Classic French cooking at Le Coucou. This is, right now, a destination restaurant in New York serving some of the very best French fares outside of France. And it happens to have an interior that is very easy on the eyes. 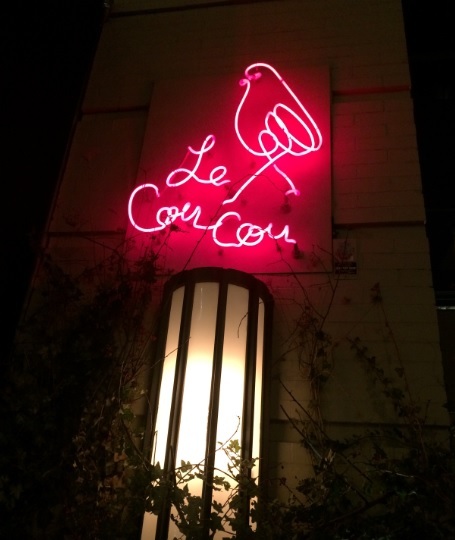 I wanted to visit Le Coucou since a long time, but it is a very popular restaurant and snatching a seat for dinner, here, can be a bit tricky (they start taking reservations at midnight, 28 days prior to the day you want to book). For pictures of the interior, click here. Everything else that you need to know about the restaurant is concisely described in this Zagat’s post, therefore I will focus on the food I was sampling. I chose the veal tongue / golden ossetra caviar / creme fraiche – a thick slab of veal tongue, firm in consistency, with, of course, some room for proper chew. This is how a certain generation of French used to prefer their veal tongue. 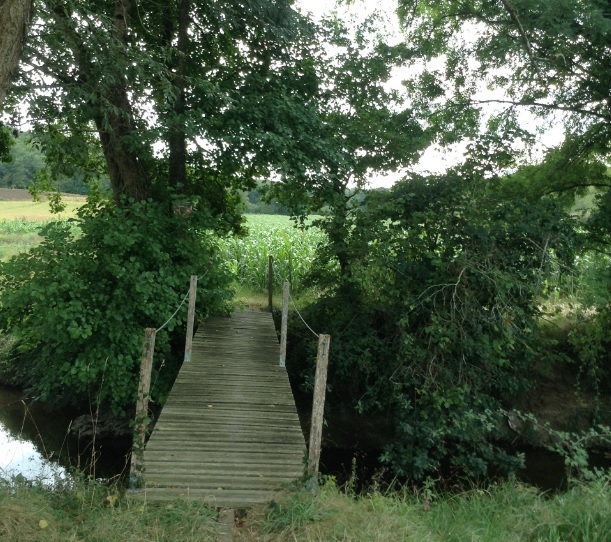 A feeling of a bistrot of la ´France rurale’. I appreciate that Daniel brought such memories back. 8/10 for the quality veal tongue, 10/10 for the dazzling (and pertinent, to this dish) homemade creme fraiche (it is rare for a creme fraiche at a top French table, in North America, ​to be packed with such exciting lactic freshness). 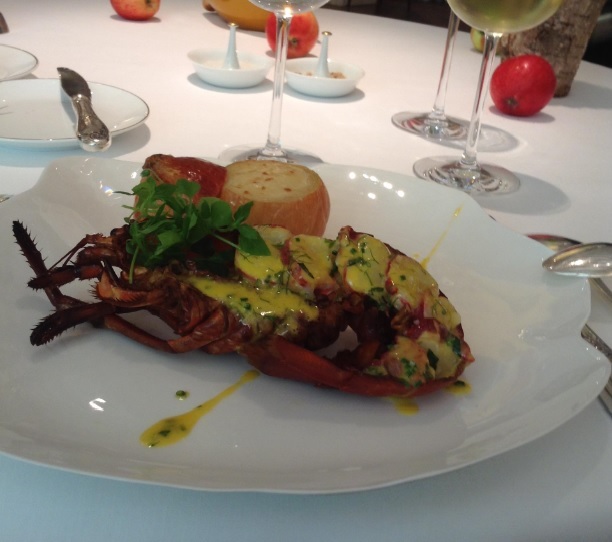 My girlfriend did opt for the Lobster salad, lettuce – on the side a dazzling lobster sauce mixed with egg yolk. 10/10 for that sauce. Perfectly well grilled small piece of tasty quality lobster. 7/10 for the lobster. Hard to tell when you look at the picture above, but there was a big lettuce, next to a tiny piece of lobster ..and that did not sit well with me (quite a weird sight, I found). 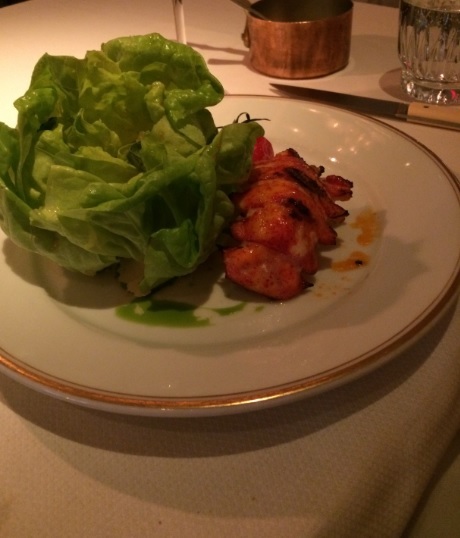 May as well call it “lettuce salad” …. “avec un soupcon de queue de homard” …. Braised oxtail / potatoes boasting superlative textures and flavor. This would NOT be out of place at a serious classic French 3 star Michelin table (10/10). Cheeses (Aretheusa Blue, O’bannon Goat, Overjarige gouda, Hooligan, Red Hawk) of good quality, from several parts of the US as well as abroad, all served with a first rate sauce of plum/ porto. When sauces are done this well, all I can say is that “you are a first-rate french restaurant”! Wine service and selection is of prime mention, here. As well as a coconut financier with exciting fresh coconut flavor. The coconuts are from the Caribbean and are grated for their financier. The sourcing of the coconut was not an afterthought, the technique of high level (9/10). The talented Pastry Chef Daniel Skurnick, who worked previously for some of this globe’s best restaurants (The River Café, Jean-Georges) is their current Pastry Chef. Pros: First-rate updated French sauces. 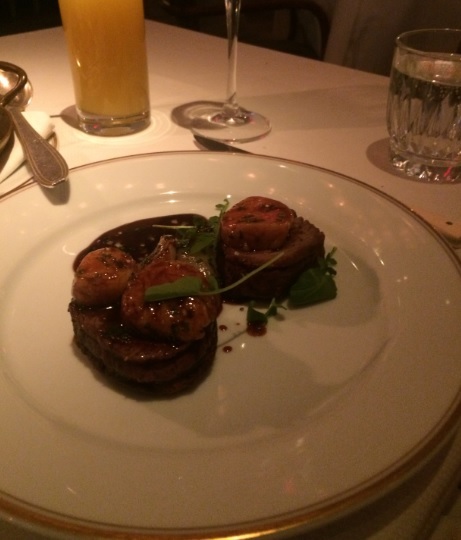 A meal as well as an overall dining experience with many highlights! Cons: For my pineapple juice, may I suggest that you use that same outstanding pineapple you did use to make the ananas roti? Also: c’mon folks…..that lobster / lettuce menu item…I mean…c’mon, that is more “coucou” the unimpressive bird than a “crowned eagle” …Lol. The hospitality standards are up there with what the grand tables of this planet have to offer, minus the heavy decorum that can be found in some houses. 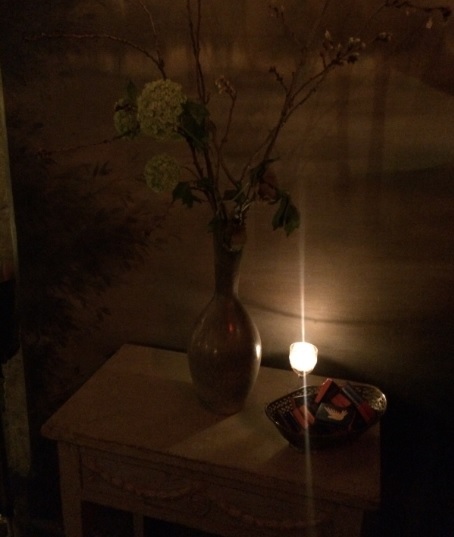 The restaurant has a tiny but prettily decorated bar at the entrance. On the wall of that bar (you cannot sit there, btw), a painting that will remind you of Provence. It is the kind of bars you see in movies. The rest of the decor is lavishly styled, with chandeliers, candles on every table, large glass windows, vaulted ceiling, a modern open kitchen. Overall food rating: 9/10 (Categ: Fine dining, Top tier French restaurant outside of France, Top tier restaurant in New York) – Hey, mon Coucou, I have no clue if your sauces are always as dazzling as on the evening of my visit, but with sauces of this caliber… , I am flying, too!!! Bottom line: I made it difficult for Le Coucou. I went there on a Monday, generally a quiet evening, when the best cooks of a kitchen brigade tend to stay at home. I decided not to take their most popular dishes (pike quenelles, tout le lapin, bourride). I brought my girlfriend, a hard-to-please diner. And the star Chef, Daniel Rose was not present. When the meal started, I was certain that I was going to corner the bird and accuse it of not living up to its hype. The oysters and anchovies were fine, but given the hype, they did not deliver the emotions we came for, therefore I was determined to “pluck the feathers” of the bird. But Le coucou fought back, and the bird went on cruising at exceptional altitudes. By the time the beef filet and carre d’agneau arrived at our table, the bird was out of reach, really high in the skies. Then the desserts were served, and I received a note, falling from the sky “coucou, I am not… I am actually a crowned eagle, ca te va? ” Crowned eagle, you are, buddy! Can’t agree more. Ca me va! Hype is always too much, oftently impossible to live up to, but Le Coucou deserves its reputation. It is, right now, a destination restaurant serving some of the very best French fares outside of France. And it happens to have an interior that is very easy on the eyes. I loved Le Coucou! What I think weeks later: Daniel Rose is a TRUE / REAL Chef. You know you are dealing with a REAL Chef when his absence is not felt at all. That is because GREAT Chefs will never leave a kitchen in the hands of poorly trained cooks. I have no clue where Daniel was, on that evening, but if he happened to be at a bar, in the carribbean, sipping a pina colada while I was dining at his restaurant..I swear, I would take a plane, right away, fly to his hideaway and thank him…which, if you have read this blog, is not my normal reaction in such circumstance. Lol. But that is the thing: Daniel is a GREAT Chef! Michelin, please continue to stay away…Le Coucou is a bird that is great, the way it is right now, free from the ridiculous rules that have killed so many talents. Please, please … DON’T EVEN THINK ABOUT IT, dear Michelin! Go elsewhere. Lol UPDATE: In NOVEMBER 2018, Michelin did award a star to le Coucou, which I hope is not going to be the beginning of the end for this restaurant …. 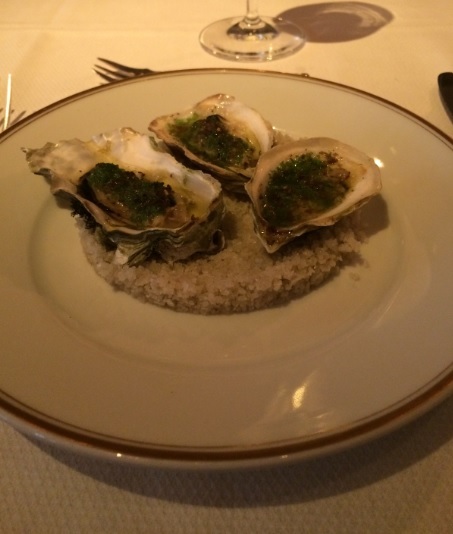 L’Ambroisie, Paris – A gift from the above! To quote il Maestro Gualtiero Marchesi, one of my top favourite Chefs around the world: ”’A melody is composed only of the necessary notes’. L’Ambroisie, on this lunch was profoundly melodius. Our lives are defined by moments. This was a moment. A moment of two hours and a half , transcendent and memorable. For those in the know, it would not be hard to understand anyone who would argue that this is, right now, the best French 3 star Michelin in the globe. Of this meal, I can certainly submit that eventhough perfection is a relative word, “perfected” is how I would quality this meal I had under their roof. Perfected in a way that is rare, even at such high level of dining, I meant. 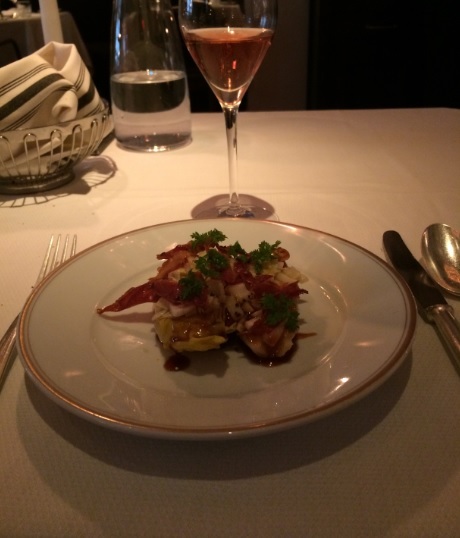 I will, for this review on L’Ambroisie, seize the opportunity to elaborate a bit on my expectations, experiences and views on French cuisine in general, 3* Michelin Fine dining and the Michelin guide in particular. I hope this will be useful to the readers of the current report. I am French myself and as an admirer of French fine dining, I have naturally sacrificed a big portion of my hard earned money in what France offers on the upper scale of its restaurant scene. 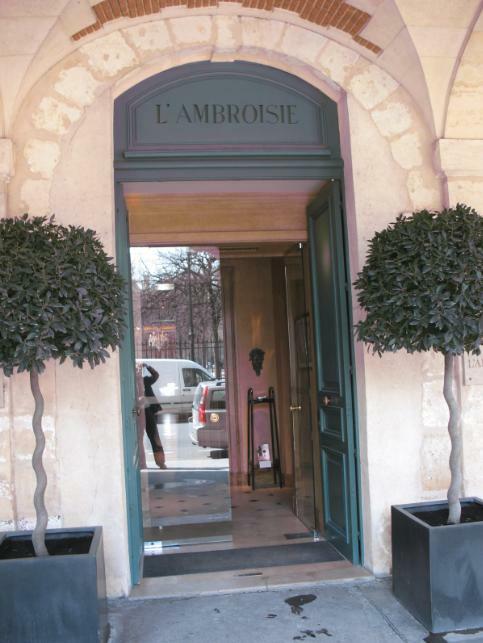 L’Ambroisie, along with Ledoyen, are the only Parisian 3* Michelin ventures that I had not visited yet as of today (Ledoyen was finally visited yesterday). You’ll find more about my experiences with France’s haute cuisine in the next sections of this review, but for now I’ll start with the motivation that lead to my consideration of the Michelin red book: for years, I have carefully followed all type of restaurant reviews. ALL! … only to end up with SOME supposedly serious food columnists (I wrote “some” since NOT ALL of them are concerned by my reservations) raving over restaurants where impressive pre-sold magic are never found in the plates but rather in the media buzz itself (I do not mind buzz. It is necessary as a business /marketing tool, but back your buzz by matching reality)! When you end up with supposedly serious professionals who themselves recognize that they are well known to those they are reviewing, you know it is about time to put an end to the circus. That reliability I was dearly seeking, I knew I had to find it elsewhere! That is how I started to trust Michelin. Not that it is a perfect system (there will never be a perfect system anyways), but at least it does what has to be done: anonymous reviews (instead of the friendly reviews of some) and a rigorous work of evaluating excellence in food and dining experience. Michelin may have its detractors (who doesn’t?) , but I prefer discretion and serious work over annoying quest for celebritism through restaurant reviewing. 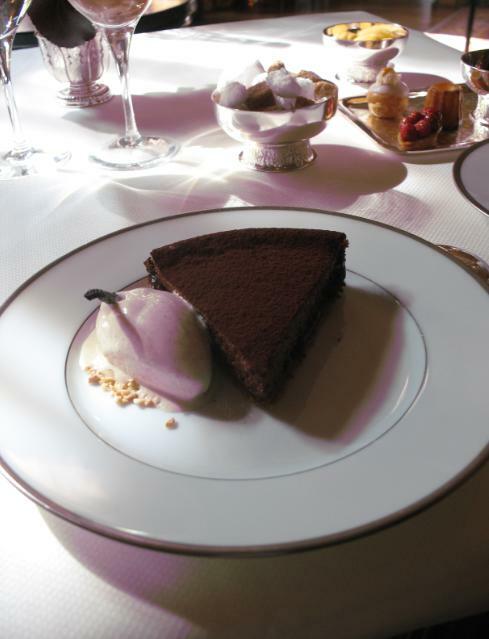 Michelin being initially from France, I also tend to value its appreciations on … France’s restaurants. 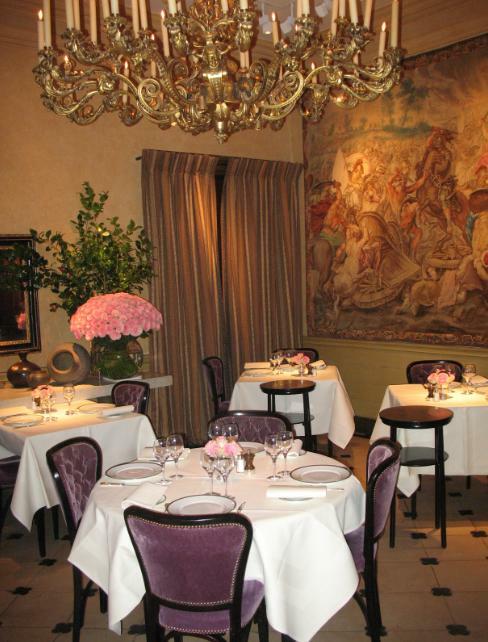 To some extent, its evaluations of French restaurants in general, whether they are in France or outside of France. I do not expect Michelin to be the specialist of non French restaurants. But that’s just my personal expectations of Bibendum’s works. 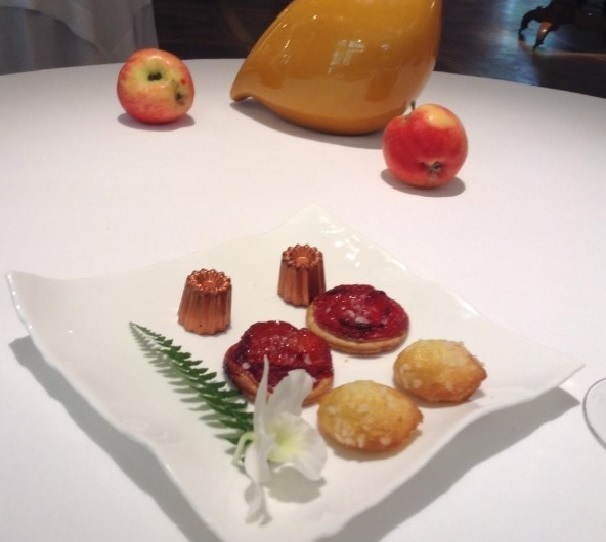 Many of the 3* Michelin France’s haute dining —- that I partook in — have delivered some moments of culinary amazement (Michel Bras, when he was regularly behind his stoves, that was a true defining experience of 3* dining excellence in my opinion. Thought the same about Michel Guérard, Olivier Roellinger, Gerard Besson, Georges Blanc when they are / were at their very best). Chef Bernard Loiseau (had couple of meals cooked by him in 1992, 1993, 1997) , who unfortunately took his own life, will always be remembered too as one giant who has never failed to serve me what still rank, years later, among the best moments of all my Michelin starred meals (for those who went recently dining at his restaurant, please send me an email with details of your own experience. I am curious to learn about the cooking of their current Chef, Monsieur Patrick Bertron). Of course, I did also experience few other 3* events that did not seduce, of which I could easily identify the major problems: usually it was either a hasty interest in modernizing the cuisine or a lack of clear culinary identity (this oftently happens when the kitchen switches in between the hands of too many cooks or a Chef whose brigade is weak / lacking in leadership). Most people I know won’t bother with careful long research on restaurants when it comes to dining out. They basically rely on opinions of who they think is enoughly reliable, eventhough this is clearly not a matter of reliability but of personal preferences as in the preeminent and realistic long formula “”food enjoyment = personal expectations + knowing what you like Vs what you do not + what your palate has bookmarked as previous references + misc personal encounters during your diner + the ability of remaining humble enough to avoid unnecessary pretention + how informed you were about the place you are dining at + what you have been eating before you head there + your state of mind + how open minded you are…and I’ll stop here, Lol! “””. I can’t blame them (there are certainly other interests that deserve much attention), but my choice for a dinner goes through an absurdly (yeah, I’ve got to admit this…although I will always maintain such diligence) extended process: I read ALL, absolutely ALL possible comments, inform myself a lot about the Chef’s philosophy/creations/ background/achievements + the type of restaurant, its history, its style. I do the same, whenever it is possible, with the authors whose opinions I read: enquiring about the style of dining he or she usually favors is one (among others) essential piece of intelligence. This dinner at L’Ambroisie is the result of a two years long study on an impressive list of 3* Michelin tables around the world. Two years is time consuming, but I do not go to restaurants just for the sake of piling numbers (The number of restaurants you visit says nothing about the quality of the dining experience you accumulate). I go to a restaurant for the adding value I presume the restaurant can bring to my personal dining experience. Back to L’Ambroisie, it is interesting to note that I could have picked restaurants on which there seems to exist more favourable conscensus. 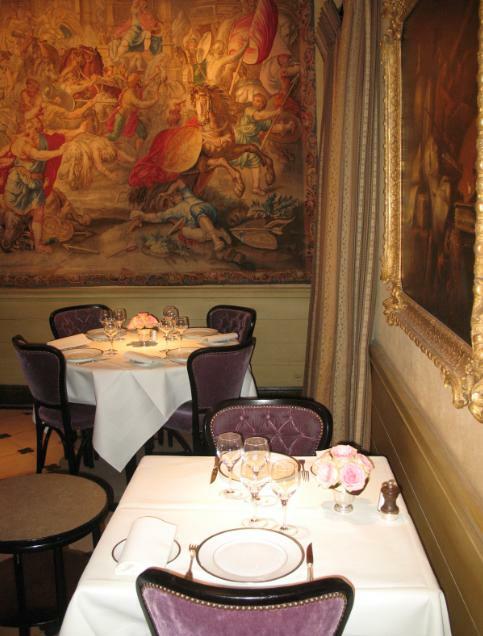 In Paris, if you do not want to miss the boat on the upper 3* Michelin starred dining echelon, just pick Guy Savoy, L’arpège or Alain Ducasse at Plaza Athénée. They are great: their food is consistently good and they treat you like you are a king. 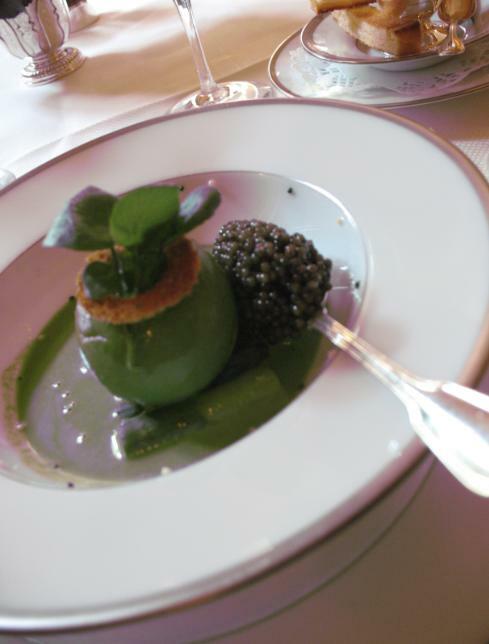 Exactly what we all should expect from an expensive and haute dining experience. But what attracts me to a restaurant is a combination of very precise factors: (1) food that has a chance to set some kind of new reference to my personal gustatory repertoire, (2) food of a Chef mostly praised for that little touch that sets the truly talented cooks apart. And in the case of L’Ambroisie, there is also this reason: he –Bernard Pacaud – is one of the last chefs from the nouvelle cuisine movement. There is nothing ‘’nouvelle’’ anymore with that culinary movement , but this is one type of cuisine that suited well with my palate. Before Chefs like Pacaud retires (He is 64 yrs old ), I’d suggest anyone interested in French fine dining to try at least once in their life the cuisine of those last pioneers of the nouvelle cuisine. I was lucky enough to fullfill this aim to sample the food of some of them: Michel Guérard (I sampled his food in 2005 and 2006 at Les prés d’Eugénie in Aquitaine. I hope it is still as great as it used to be since I never went back since ), Bocuse’s Auberge du Pont de Collonges in Lyon (2006,2007,2008 All three meals were admittedly not among the best I ate, but they all featured some dishes with character that still rank high among those I keep referring back to whenever I indulge in French haute dining), Alain Senderens whose food I tasted in 2004 and 2009, and of course the other Chefs that I mentioned previously. 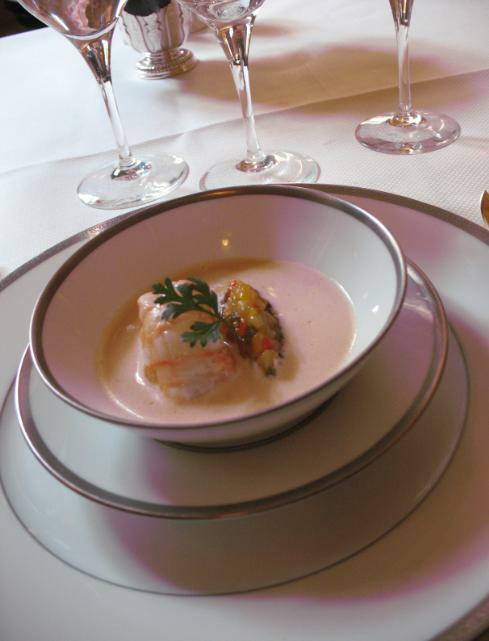 Langoustine, ananas, velouté de crustacés – Bien, voilà. 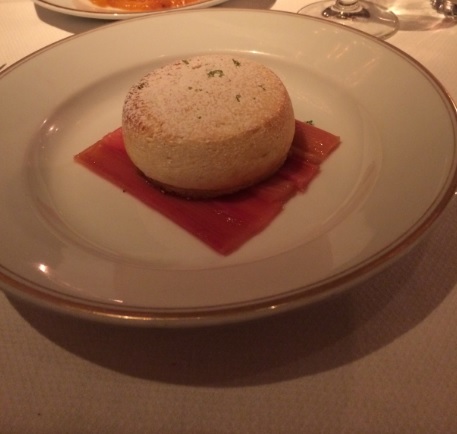 Yesterday, when I was at the other 3 star Michelin Parisian restaurant (Ledoyen) and I kept writing that I was not amazed by the food, what I meant is that the type of gustatory amazement that I am seeking at this level of cuisine does indeed exist and was not found there. It took no time for L’Ambroisie to give me the chance to write about the perfect example of what I was expecting. On this amuse bouche, the langoustine itself was a treat (divinely tasty, moist) but the amazement did not stop there: that little complimentary ‘brunoise‘ of pineapple (mixed with dices of green, red peppers) was not your next-door brunoise. Think of a luxurious, geniusly-concocted brunoise that sets the reference for all other brunoise. And a lifetime will never be enough to find superlatives to describe the taste of that velouté. That was all I am looking for at this level of dining -> Delicious with a huge D! 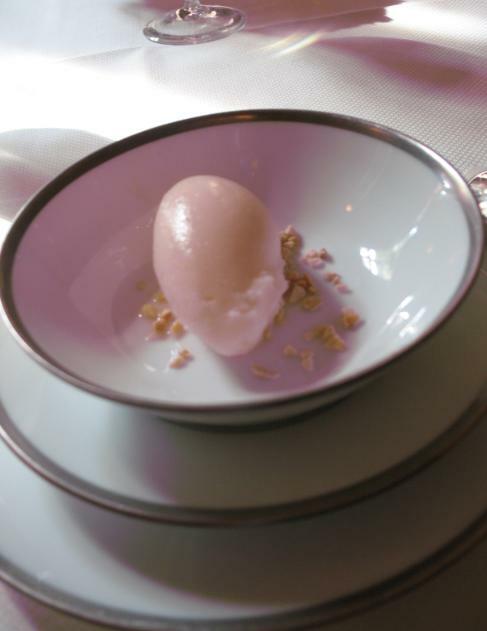 And for sure, the most successful food item I ever sampled at a 3 star Michelin table since my meals at Joel Robuchon’s Hôtel du Parc and Frédy Girardet (both dinners occured in 1995) . And those are far from being the last 3 star Michelin that I’ve visited. Which says a lot about the stunning palatable impact of this one food item (but it was not just tasty. It was packed with such impressive technical mastery that most of the top restaurants out there would never manage to achieve in their entire existence). A 10 over 10 and off we go for one of the best food items I ever sampled with any Michelin starred and Non starred dinings ! 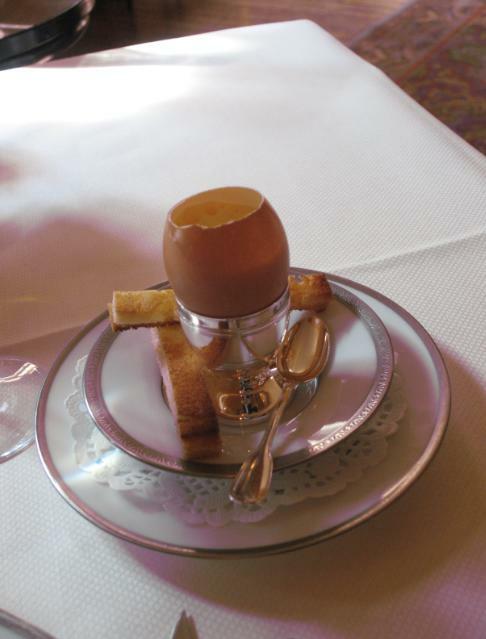 Oeuf en coque: Sorry Chef Passard (at L’Arpège), I love your famous ‘egg’ appetizer … but the ‘Oeuf en coque’ of Chef Pacaud tantalizes me more: DELICIOUS taste, kept all the essence of Oeuf en coque while boosting it with the simplicity of chives. Amazing. The huge D in DELICIOUS! Another 10 over 10! 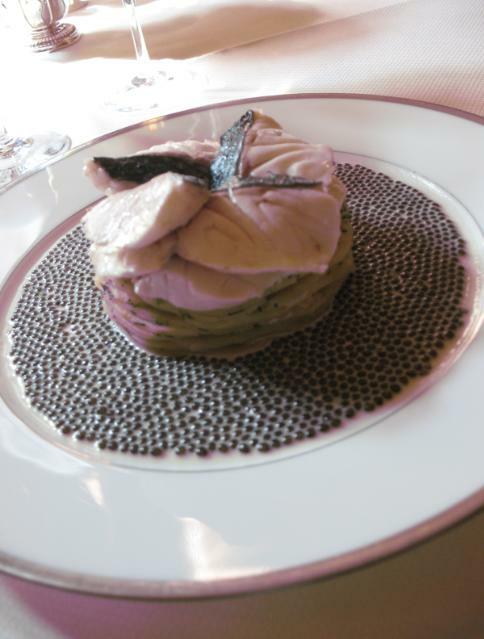 Sea bass and artichoke atop a caviar (Ocietra gold from Iran) white butter sauce – Sea bass has always been one of my favourite fishes (especially the Chilean sea bass, with pan roasting being my #1 cooking method for fish). The seabass was nicely cooked (perfect moist interior) and tasted great (it is amazing how this ugly fish can taste good ;p). The butter sauce had great textural quality, balance between its ingredients (shallots, white wine), and enough acidity (coming from the sauce’s white wine) to control its richness . The mild flavor of the artichokes (sliced artichoke hearts) paired well with the sauce and the quality of the sturgeon’s processed salted roe was at its finest. Overall, a dish that is technically without reproach (you can see that each step of the preparation of that fish was well-timed) and more importantly delicious. 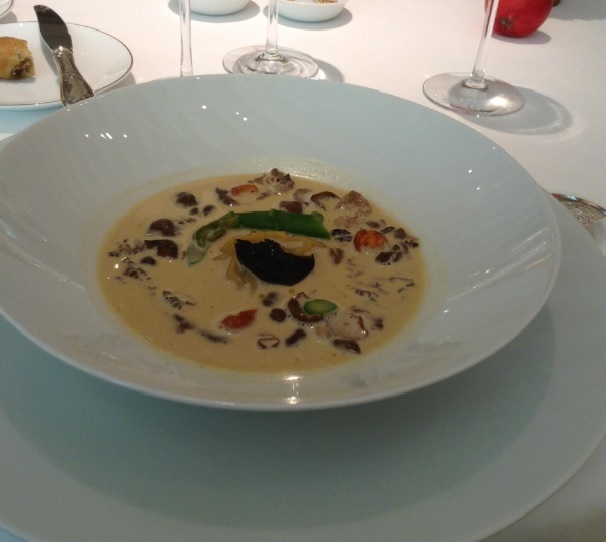 It did not have the ‘magic’ of the previous courses, but deserved its rank among the best 3 star food items out there. A 8 over 10. I read a lot about L’Ambroisie before going there. Some found it sublime. Few others found it subpar. Based on this very specific lunch, I am asking myself if those who found it subpar dined at the same restaurant? 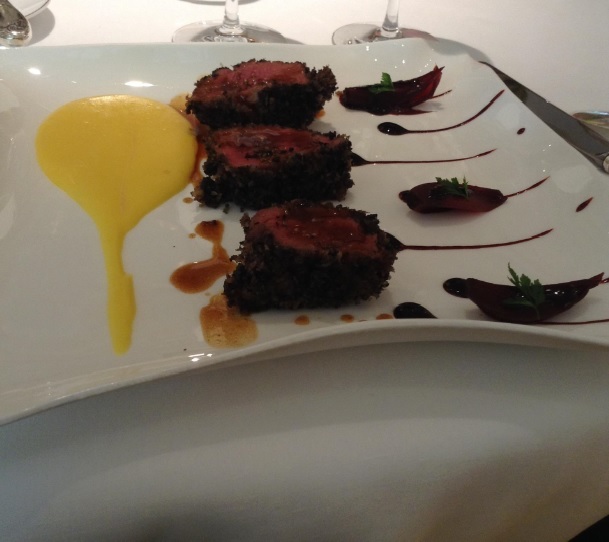 Or perhaps no one was in the kitchen when they dined there, Rfaol!..Joke apart, this one Lunch that I enjoyed on Friday March 25th is the perfect example of what I consider as the perfect 3 star dinner: food that is UBBER-DELICIOUS and …. read the rest! SERVICE: Here again, I need to drop a few words. I know some wrote that the service was perfect. But what about those who wrote that they met with ‘bricks of wall’. To the latest, I urge them to not confuse ‘being serious’ with ‘being cold’. I know..I know..I know: the service is professional, serious. BUT what do you expect at a 3 star restaurant?? This not a Brasserie nor a Bistro, right?? 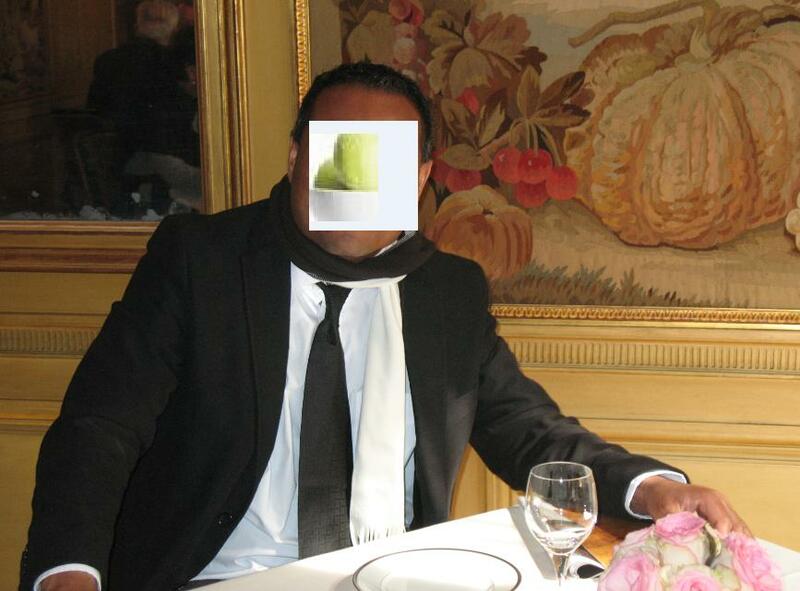 Mr Pascal, my Maitre D on this lunch is a serious professional and amazing gentleman. Oui, Oui…he looked serious and reserved, so what? I just craked some jokes with him and he was relaxed aftterwards. We talked about Mr Lemoulac’s departure a bit, the amazing 2006 Meursault Leflaive I chose for the meal, and many other interesting subjects. All along this meal, observing this impeccable service I was enjoying on this lunch, I kept repeating to myself “”but what were some complaining about? are we at the same restaurant, Rfaol!..perhaps the language barrier…but still, they were all nice, so what….anyways.”””. 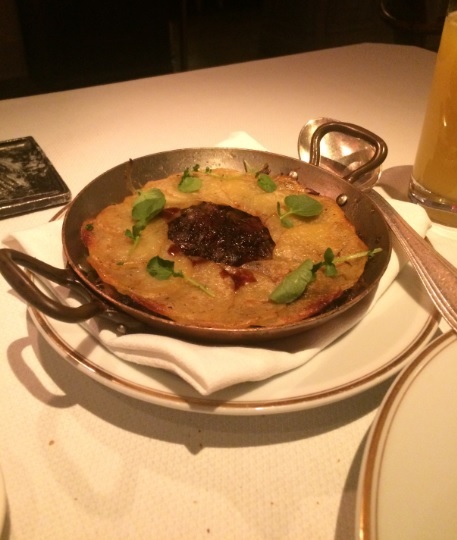 Bottom line: an impeccable service as you might expect at a top 3 star table. 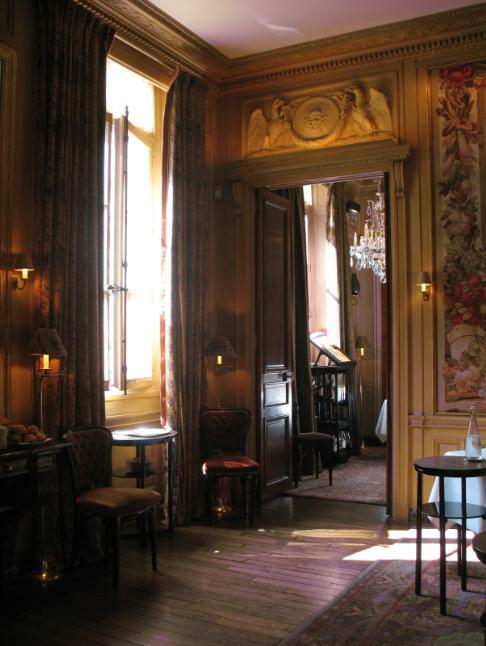 If like me, you are fond of baroque style , then L’Ambroisie interior will appeal. 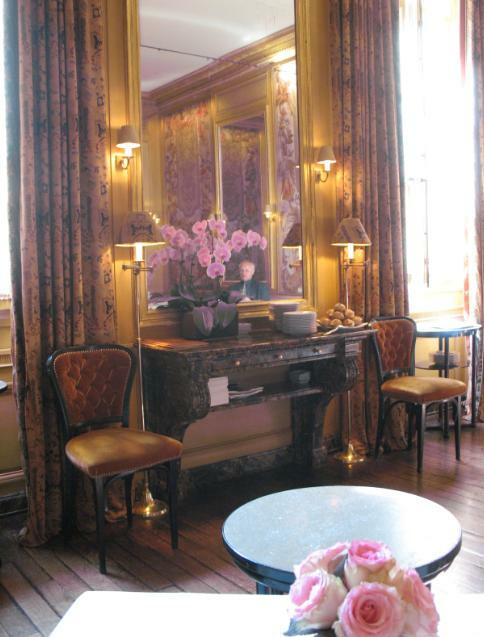 I noticed the Aubusson tapestries that I kept hearing about when informing myself on L’Ambroisie (http://www.finehomecrafts.com/aubusson-tapestries.htm), the marble floors, paintings. It is not as grandiose as I had once anticipated, but extremely charming. 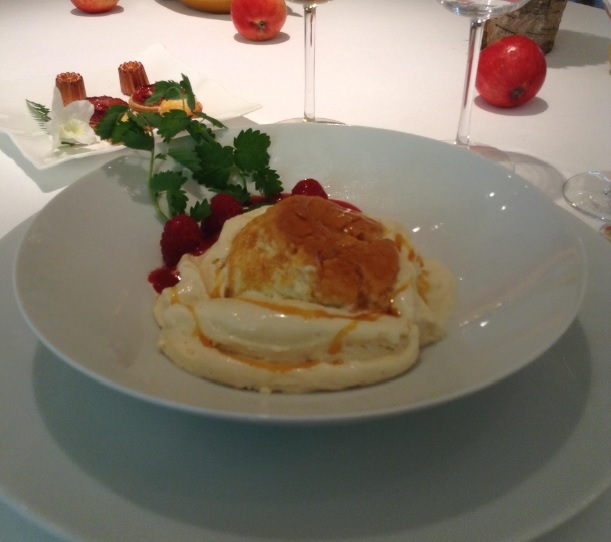 PROS: I think that Bernard Pacaud’s cooking (he was cooking on this lunch) is the finest haute French food that has ever blown away my taste buds since Joel Robuchon and Frédy Girardet have retired. 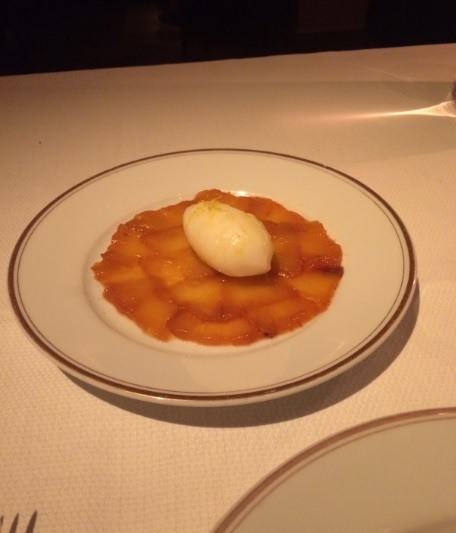 To my taste, this overall dining experience on Friday March 25th at L’Ambroisie is exactly what reaches out to my own definition of the pinnacle of a 3 star Michelin dinner. CONS: Nothing that comes to mind. CONCLUSION: My definition of ‘’great food’’ turns around a combination of 80% from the natural talent of the Chef (the personal touch of an exceptionally skilled artisan, whatever magic his personal impulsive genius can generate, the s-o-u-l of the Chef!!) + 20% that will come from the quality of the ingredients. Basta! The rest (whatever philosophy, vision is great for both the Chef himself on a personal level and/or his marketing team) is theoretical. a Chef can be technically skilled (mastering various cooking methods, cooking at the correct temperature, with the right ingredient combinations, etc) but his food lacking in terms of soul (ever wonder why out of a team of highly talented chefs, cooking the exact same dish, with the exact same ingredients, there is always one or two who still manage to elevate the dish to some kind of gustatory reference?). Passion? It should already be part of the personality of a great Chef or else he has no business being a chef. Great ingredients? Absolutely, but in the hands of a non talented chef, they worth nothing. Going there, I was looking for great cuisine that is taking no risks nor trying to be trendsetting (“dated” in not part of my vocabulary. Good or bad food are), but that is delectable and heartwarming. Going there, I was expecting Bernard Pacaud, a Chef widly praised for his exceptional talent, to make a good impression on me. Fortunately, I got all of of that at this restaurant. The overall may boast an impressive price tag, which most (opinions over the web + among those close to me who are regulars of Paris haute dining ) have agreed on, but the most important was delivered: food that was superbly D-E-L-I-C-I-O-U-S! Many Michelin 3-star dinings have pleased me, but I can count with the fingers of my hands the few remarkable moments when food was as savourish as on this one lunch. Now that I’ve visited all current Parisian 3 Michelin star establishments –Le Doyen and L’Ambroisie being the only two that I had not visited up to this day (luckily, there are not that many and no newer Parisian 3 star have emerged lately), I can confidently state that L’Ambroisie is — at this moment —- my personal choice for #1 best Parisian three Michelin star (for the record, L’Arpège used to be my personal #1 for a long time, in Paris) . 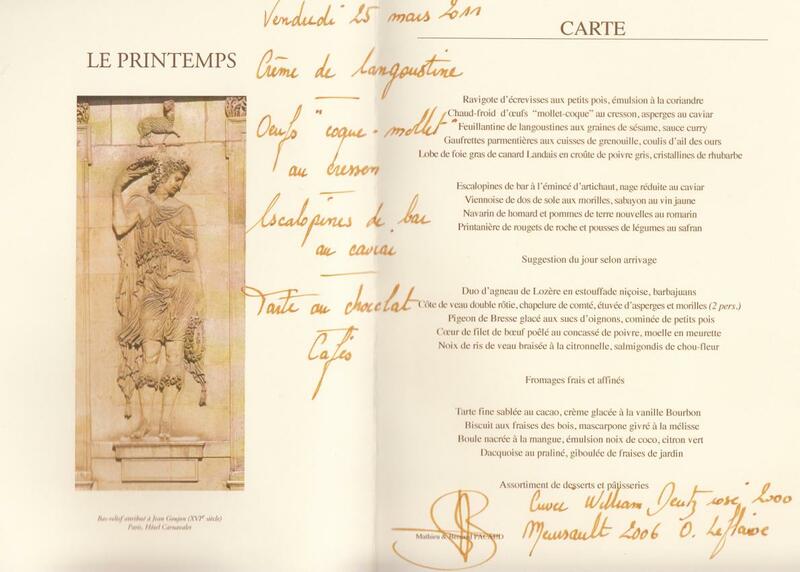 L’Ambroisie reaches out to my dining expectations and philosophy: I am not one interested in whatever theatrical or conceptual aspect of food. It is food and its main duty has to be fulfilled: it has to storm my palate for its superior savourishness. They did it with the highest mastery one might expect at this level of cooking, shining with equal excellence on both the savories and the desserts. But L’Ambroisie went way beyond that: this type of decor, the service (elegant, serious and focused) , the way the sommelier did his work (grace and efficiency), absolutely everything went in line with what I expect from the best 3-star michelin ventures. If you came to me with such a statement as “””this is currently the best classic Haute french michelin 3 star in operation in the world”’, I’d reply that ”’I concur with you””! This one specific lunch was simply divine. The price? No..No..No..I won’t reveal it simply because as human beings, we tend to overwhelm excellence by material value. Which is not an issue when the experience is average (in which case, I see the $$$ in BOLD!! Rfaol! 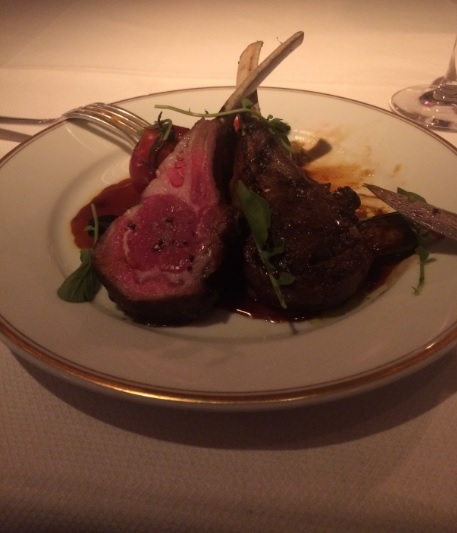 ), but when it is exceptional — as it was with this one specific lunch at L’Ambroisie — I will never let numbers overshadow exceptional dining occurence! There was, on this lunch, a feel of remarkable grace and profound commitment for ultimate delicious food that will mark my souvenirs for a long time. Wishing you this same amazement! WHAT I THINK MONTHS LATER: Bernard Pacaud was behind the stoves on that lunch, and I regret to have discovered him so late at a stage where he is close to retirement. Well, at least I had this priviledge because this is what I consider as a priviledge: skills so exceptional that they pertain to my top 5 all time favourite Chefs of the globe, alongside Joel Robuchon, Jacques Maximin, Constant, Girardet, Besson. Again, I never tried this place when Bernard Pacaud is not behind the wheels, so I can talk only for this one instance.